The best ways to make sure your loved one gets the care that was promised. Finally, after ticking off the last item on a lengthy list of must-haves, you think you’ve found the best nursing home for your mom. The staff seems caring and professional. It’s comfortable, homey, and Mom is OK with it. She might even come to like her new life. But your work isn’t over. You want to make sure Mom gets the care you were told she’d receive—and the care she deserves. “The resident’s needs should be met by the facility, rather than having the patient meet the facility’s needs,” says Barbara Messinger-Rapport, director of the Cleveland Clinic‘s Center for Geriatric Medicine. Do you like the staff—and any staff member in particular? That last point may seem small, but whether your loved one clicks with a specific caregiver is important, says David A. Nace, chief of medical affairs for UPMC Senior Communities, a long-term care network in western Pennsylvania that is part of UPMC-University of Pittsburgh Medical Center. It shows he’s making connections, growing in new social relationships. The trust that develops may also mean Dad takes his medication more reliably, or if behavioral issues stemming from dementia are a concern, it may be easier for one nurse than for another to manage them, says Nace. Some questions will be better directed at staff members, particularly if your loved one has a cognition problem such as dementia or Alzheimer’s disease. In the first days and weeks, the focus should be on the initial adjustment. Do Mom’s nurses see any signs of depression? Does she appear to be making the transition smoothly? If not, what, specifically, is being done to help her? Are her meals appropriately prepared—soft or pureed food if she has trouble chewing, low in fat and salt if she has a heart condition? Is she taking her medications when and as often as she should? (The timing of each medication should be documented.) If there’s been a consistent problem, how is that being addressed? Is there a reason to change any of her medications? Is she exercising or participating in other physical activities? “I like to see if the patients are usually in their rooms,” says Susan Leonard, a geriatrician at Ronald Reagan UCLA Medical Center. “Not being in their rooms means they are participating in activities, dining, or in the hallway socializing with others, which may suggest a better social environment for residents.” But you’ll want to see for yourself whether empty rooms might only mean residents are parked on sofas and in wheelchairs elsewhere in front of TVs. Don’t be afraid to broach more sensitive topics. If you were recently alerted of a behavioral issue or medical emergency, talk to both Mom and the staff to figure out whether it was handled properly. You want to know what the staff did and what changes in care they’ve made. It’s helpful to have a main point of contact during the day’s various shifts. You should feel like you can call at any time, but Nace observes that it’s good to know up front what the best times are for getting general updates. And don’t settle for less than you need to know. If you don’t get an answer, head up the chain of command to a unit supervisor, assistant director, or director. Look around. Do you see any safety hazards—a hanging TV that isn’t strapped down or blocked exits? What about bruises, such as on the upper arms where staff may have handled Dad too roughly? Watch the staff—are they affectionate, genuine, and helpful? Use your nose. Are there odors in the hallways and rooms? “Yes, bowel movements happen—this is a long-established fact of life—but it should not be the thing that greets you every time you are in the hall,” says Nace. Listen. Do you hear birds, music, laughter? Or do you hear creaky floors and clanging pipes? Constant small annoyances can affect a person’s mood and eventually her day-to-day demeanor. 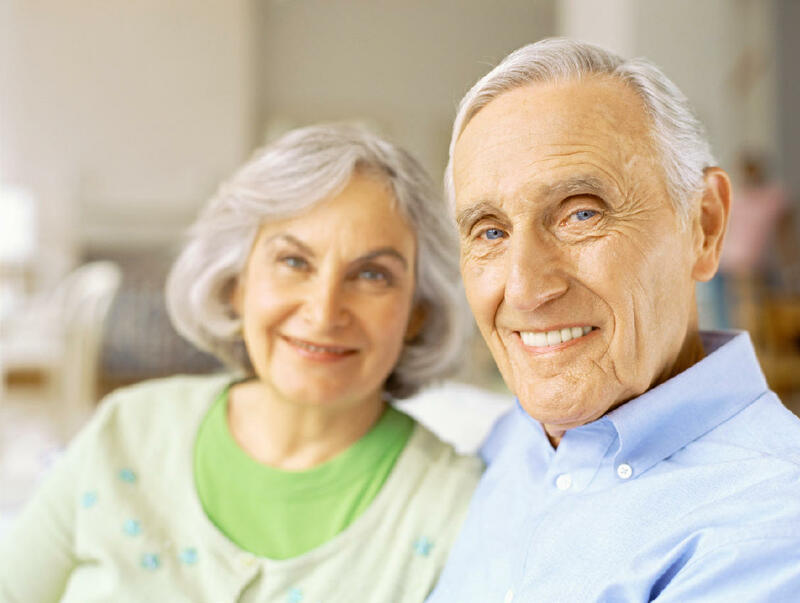 Some homes have a “care conference” shortly after admission and then quarterly to give you and your loved one a regular time to talk with staff, says Nace. But stopping by on various days and at various times is smart. You can ensure Mom or Dad isn’t “overmedicated or spending time sitting in front of the TV,” says Messinger-Rapport. When you do check in, swing by the nurses’ station to signal to the staff that you’re actively involved in Dad’s care. If distance keeps you apart, staff might be able to send you photos or videos of Dad or set up a videoconference with Dad and his caregivers. If you’re abroad, staff might be able to print out an email for Mom if she doesn’t have a computer, Nace says. Better still, says Poer, “having someone on the ground to be your eyes and ears can be very useful.” Enlist a local family member or close friend. Or consider a case manager or ombudsperson to advocate for you and Mom. Make sure the home’s staff has a number where they can receive a prompt response if necessary. And while staff has a professional responsibility, your appreciation—particularly if someone worked with you to resolve a concern, and even if it meant you had to compromise—will go far. “Be respectful of the staff and their time; their job is very demanding,” Poer says. Let the nurses and other caregivers into your and your loved one’s lives by sharing personality quirks, interests, preferences. But above all, stay optimistic about Dad’s future and his ability to accept and adjust to his new life. Flycasting for bass on the Susquehanna River, Nace’s dad’s longtime passion, faded into a treasured memory after he moved into a nursing home, traded in for newfound pastimes: baking and painting. Conversations with the ombudsman are confidential and residents or other persons can register a complaint anonymously. Ombudsmen handle a wide variety of complaints involving quality of care, residents’ rights, discharge, medications, lost or stolen items, dietary issues, and quality of life concerns. Ombudsmen can also provide information and consultation about how to choose a facility and how to pay for long-term care. To locate the local Ombudsman Program that serves your area, to find more information about long-term care, to register a complaint, or if you are interested in becoming a volunteer ombudsman go to our ombudsman website. or call toll-free, 1-800-342-9871.